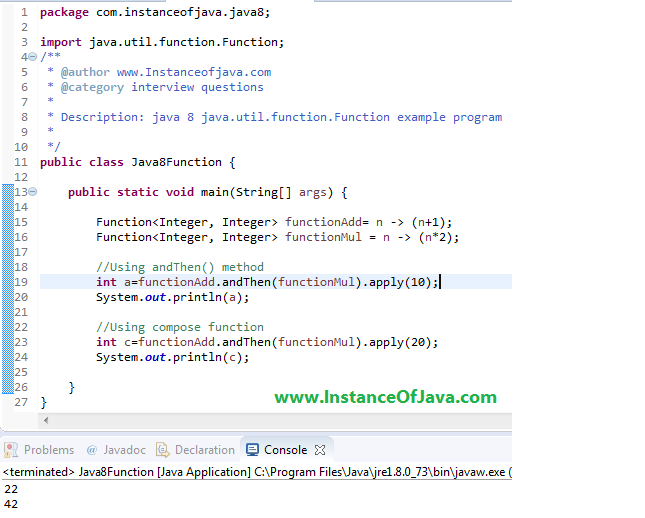 java.util.function.Function introduced in java 8 for functional programming. Function(T,R) will be used in streams where to take one type of object and convert to another and return. And this Function() supports methods like apply(), andThen(), compose() and identity() etc. Lets see an example on java.util.function.Function.